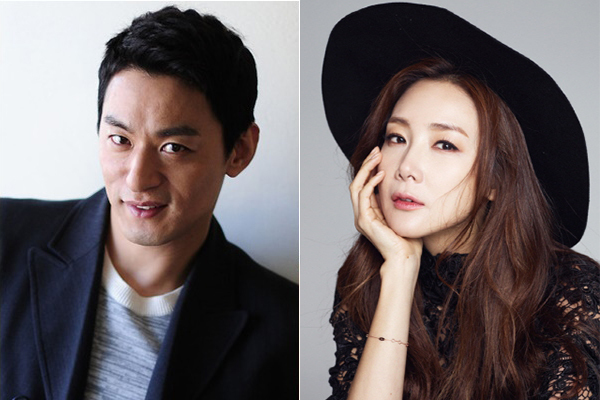 Actor Joo Jin-Mo is now cast in upcoming MBC drama series “Woman with a Suitcase” co-starring Choi Ji-Woo. In the drama series, Joo Jin-Mo will play Ham Bok-Geo. He is the CEO of a paparazzi press company. He gets all the information on politics, economy and the entertainment world in South Korea. Ham Bok-Geo helps Cha Geum-Joo (Choi Ji-Woo) to achieve her dream and becomes romantically involved with Cha Geum-Joo. “Woman with a Suitcase” first airs September 19, 2016 in South Korea. Teaser #2 added for upcoming KBS2 drama series “Love in the Moonlight” starring Park Bo-Gum & Kim You-Jung. 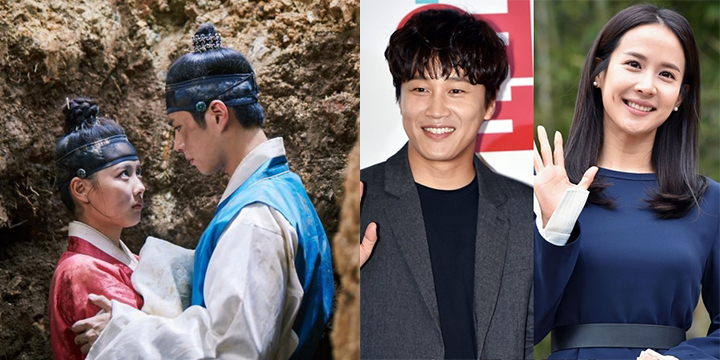 In addition, Cha Tae-Hyun and Cho Yeo-Jeong will make cameo appearances in ep.1 of “Love in the Moonlight.” Cha Tae-Hyun and Cho Yeo-Jeong filmed their cameo scenes on July 24, 2016. Ep.1 of “Love in the Moonlight” will air August 15, 2016 in South Korea. Actress Choi Ji-Woo is now cast in upcoming MBC drama series “Woman with a Suitcase.” In the drama series, Choi Ji-Woo will play lead female character Cha Geum-Joo. Her character worked as a manager for an attorney’s office, before she is arrested. She is able to revive her career and become a successful attorney. Meanwhile, actor Joo Jin-Mo is still considering an offer to play the lead male role. “Woman with a Suitcase” will first air September 19, 2016 in South Korea. Actor Son Ho-Jun is now cast in upcoming MBC weekend drama series “Blow Breeze” co-starring Lim Ji-Yeon. In drama series “Blow Breeze,” Son Ho-Jun will play Lee Jang-Go. His character is an attorney for human rights. He is honest and pure. Meanwhile, Lim Ji-Yeon will play a woman who defected from North Korea. “Blow Breeze” first airs August 20, 2016 in South Korea. Ep.1 trailer added for upcoming JTBC drama series “Age of Youth” starring Han Ye-Ri, Han Seung-Yeon, Park Eun-Bin, Hwa Young & Park Hye-Soo. Meanwhile, promotional photos above are of the 5 leading ladies in “Age of Youth” holding up handwritten signs asking viewers to watch episode 1. “Age of Youth” premieres later tonight in South Korea. Casting for the lead female role of Hong Seol in upcoming movie “Cheese in the Trap” will take place through auditions from South Korea and China. Prospective applicants can send in resumes to Mountain Movement Story (http://www.mm-story.com/) from August 1st through August 15th, but only applicants with prior acting experience will be selected to take part in the auditions. An estimated 30 applicants will be selected. A second round audition will be held in South Korea for 10 finalists pulled from the original 30 applicants and one of the 10 finalists will be selected to play Hong Seol in the film. Actress Kim Go-Eun played Hong Seol in the tvN drama series version of “Cheese in the Trap,” but she is not taking part in the movie version. So far, only actor Park Hae-Jin (who played by Yoo Jung in the tvN drama series version) is cast for the movie version. 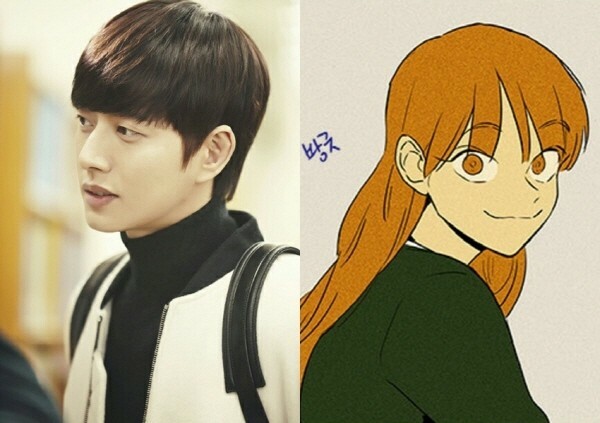 Filming for “Cheese in the Trap” will begin early 2017. Currently airing KBS2 drama series “Beautiful Mind,” starring Jang Hyuk and Park So-Dam, has been shortened from its originally planned 16 episodes to 14 episodes. This is due to the drama series received low ratings during its time slot. The last episode will now air on August 2, 2016 instead of August 9, 2016 as originally planned. At first, KBS suggested to screenwriter Kim Tae-Hee to shorten the series to 12 episodes, but it did not work as it influenced the story too much. After discussions with KBS and the production team, they then decided to shorten the series to 14 episodes. Ep.2 trailer added for MBC drama series “W” starring Lee Jong-Suk and Han Hyo-Joo. Ep.1 premiered last night in South Korea. For curious fans, according to TNmS ratings ep.1 of “W” received 9.9% nationwide/11.6% Seoul ratings, whereas competing KBS2 drama series “Uncontrollably Fond” garnered 11.5% nationwide and 12.7% in Seoul in the same time slot. Ep.2 of “W” airs later tonight in South Korea. 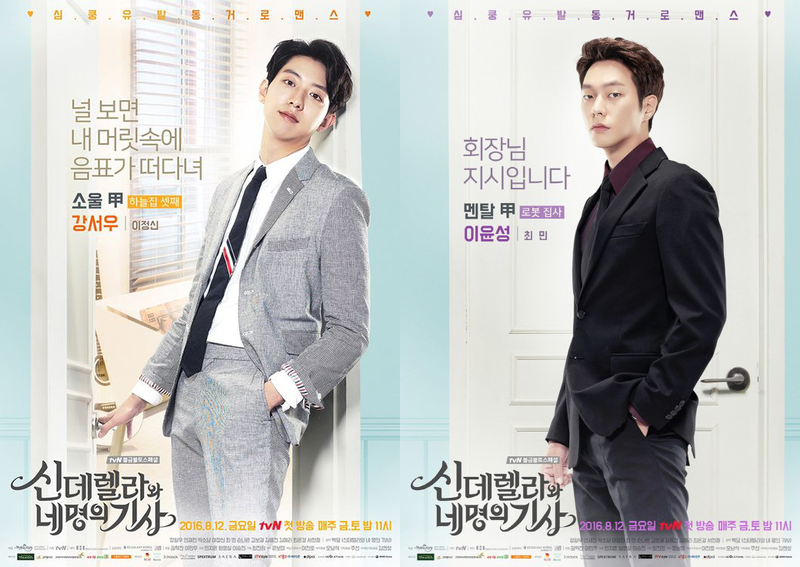 In upcoming drama series “Cinderella and Four Knights,” Lee Jung-Shin will play Kang Seo-Woo. His character is a popular singer and songwriter. He is also one of the three Kang brothers. For Choi Min, he will play Lee Yoon-Sung. His character is a butler and bodyguard to the three Kang brothers and secretary to CEO Kang (Kim Yong-Geon). Here’s still images from a scene in ep.5 of “Uncontrollably Fond” starring Kim Woo-Bin & Bae Suzy. 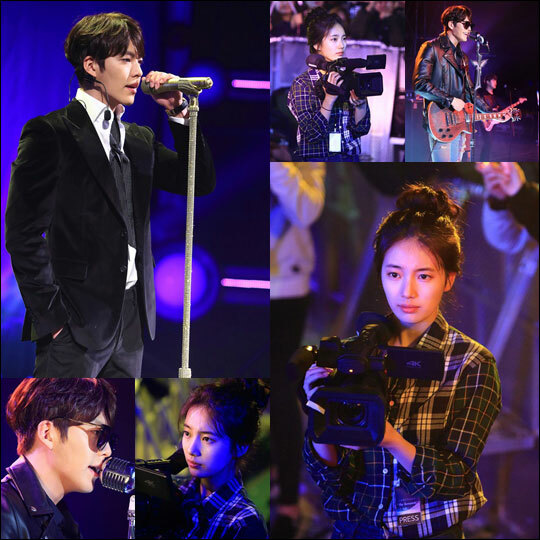 The still images are of Kim Woo-Bin and Bae Suzy from a scene filmed on January 31, 2016. The scene has Shin Joon-Young (Kim Woo-Bin) performing at a concert. 200 lucky fans were actually invited to shooting set for this scene. Filming began at 8pm and finished in the early morning hours of the next day. It took about 12 hours in all to complete. Also, actor Zo In-Sung, who is good friends with Kim Woo-Bin and screenwriter Lee Kyoung-Hee, visited the filming set during that time. Ep.5 airs July 20, 2016 in South Korea.